Counting the weeks until the launch of the Fat Kid Dance Party Aerobics video for the wider public, I wanted to talk through how we can increase our capacity. What I’ve learned is that it’s not how many hours we have in the day (they are finite) it is how we use them. And the best way I’ve found to use them well is to do the inner work that keeps me from achieving my dreams. 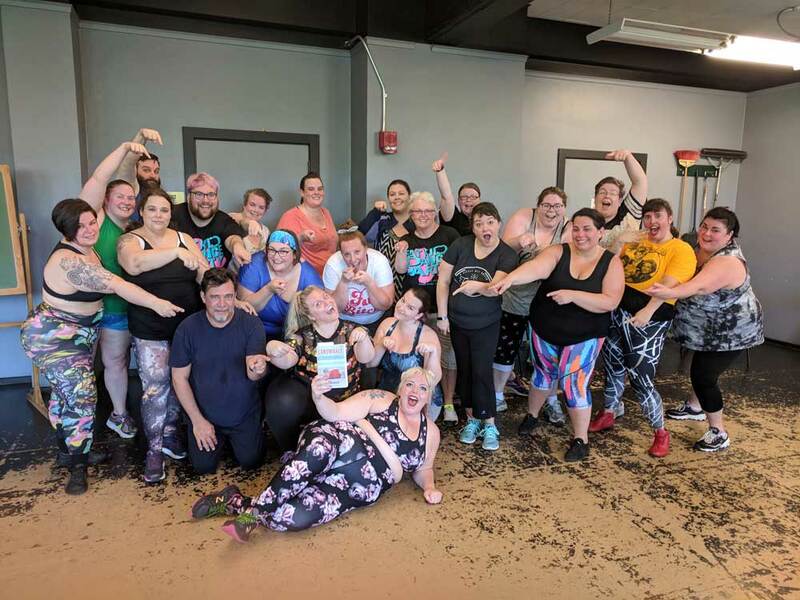 With the Seattle class of Fat Kid Dance Party in May–taking a picture with Jes’ book to tell her that Seattle was ready for her tour stop! First is Landwhale by Jes Baker. Jes is the first person to tell you she doesn’t have it all figured out. But her second book is so raw and real it creates empathetic realizations. 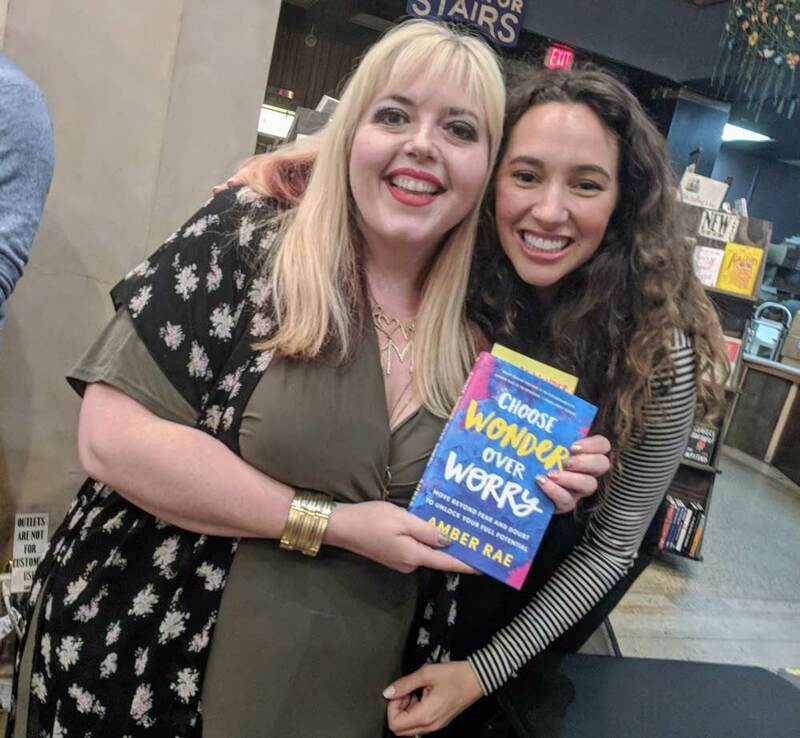 A memoir titled after a reclaimed name lobbed at her by trolls on the internet, we journey with Jes as an internationally known thought leader in body acceptance who charmingly screws things up and makes peace with her mind and body. Her chapter about how she realized her father was the root of her body dysmorphia, digging into how his cycle of dieting and gaining weight and his judgment of her body created work she must do to make peace with her body. She reflects on how many different kinds of movement she tried to lose weight and how choosing no movement at all was an important pause for her to heal her relationship with exercise. You’ll find yourself in her stories. 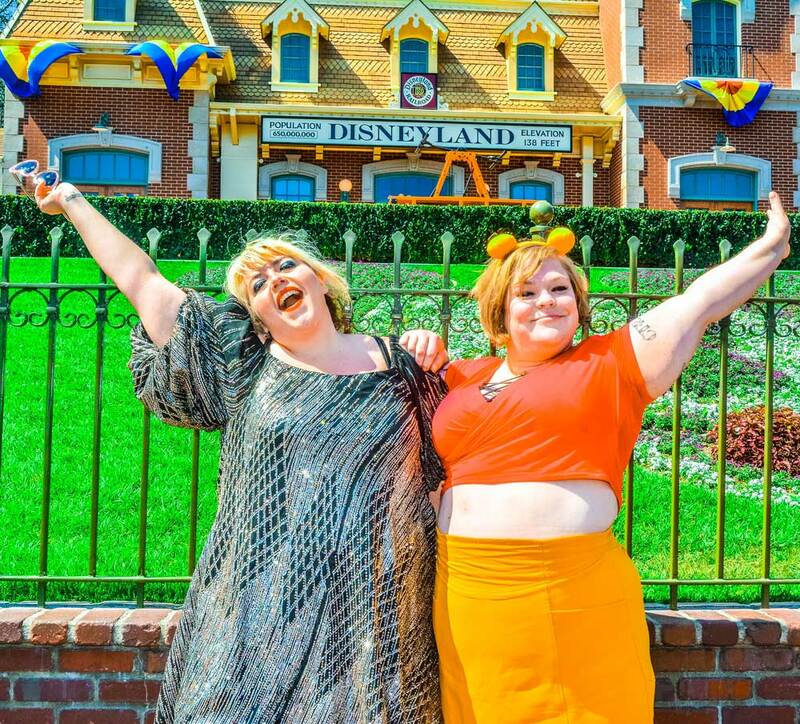 Jes looks deep inside the history of her fat body and explores where many of her painful moments can connect her closer to liberation. Bonus for people who like to know other characters of the book, I show up about 2/3 of the way through the book during a trip to Universal Studios Hollywood. 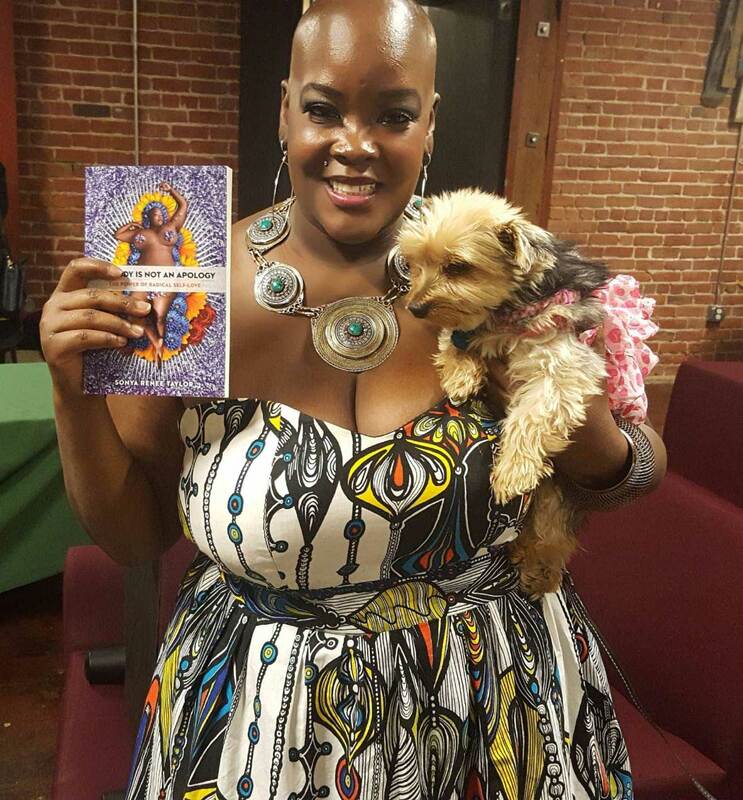 Second is The Body is Not an Apology by Sonya Renee Taylor. This is the book I will use as a textbook for anything I teach in the future and have already assigned to my intern Asher to read. It is an incredible reflection about how oppression of all kinds, including body oppression, intersects on our body and interrupts our peace. Sonya is a well-known expert in finding body peace for a reason. She gets it. Her premise about Radical Self Acceptance is that we are all born self loving and that we are taught what keeps us separate from that. How our media perpetuates body terrorism. How we can develop resilience to body terrorism and heal our relationships with our bodies. This book is so valuable! Definitely throw your journal and a pen in the beach bag along with this book because you will want to do her journal prompts. Do the work and achieve a more peaceful relationship with your body. Increase your capacity by unlearning what limits you! Me and Amber Rae at one of her book launch events! Third is Choose Wonder over Worry by Amber Rae. Amber was called to write this book (she returns to the topic of needing to write this book and what blocked her from doing it many times as a teaching tool). It is so accessible and fast absorbing. I finished her 4 hour and ten minute audio book in one day. It was an immersive seminar about how to create that pivotal pause between our thoughts and our action. The thing we’ve learned from thought leaders like Mike Dooley, Shaman Durek, Louise Hay, Iyanla Vanzant, and Wayne Dyer is that our thoughts create our reality. Amber gives dozens of pieces of practical application shifting yourself back into a positive mindset. Without spiritually bypassing, she knows how to create a new and easier reality by embracing what each emotion we don’t like can teach us. Feeling jealousy, imposter syndrome, or shame is yucky but Amber tells us how to become BFF with our shame in order to let it disappear. At a $25 cover price the peace of mind afforded by this book is worth 100 times that value. You deserve to feel good. I am excited to dive back into the work of Amber’s book and do the journal prompts. Since I find learning and healing happens more for me in a group, I’m offering a special Beta Group Coaching Process for four weeks using Amber’s book as our text. We’ll do the work of meeting ourselves in our journals and convene to talk about our revelations, our resistance, and I’ll work with all of you to open up what’s blocked. I’m releasing the tickets for the 8 person coaching group to my email list first. I’ll post the link to sign up here on Wednesday. Here it is!